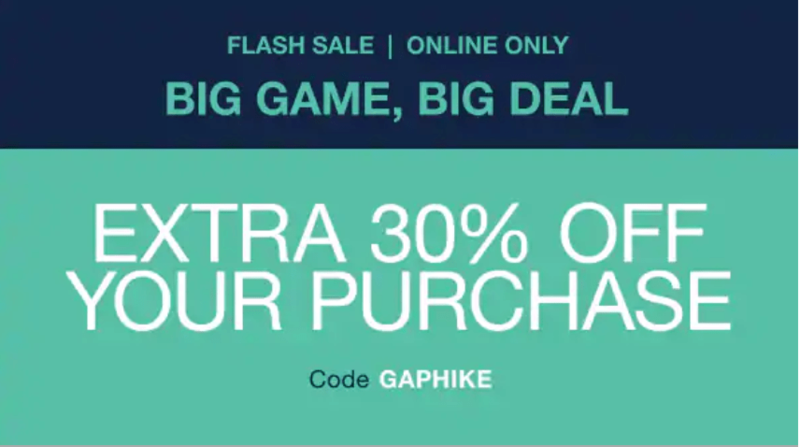 Gap Canada has an awesome online Flash Sale available today only that includes Save Extra 30% off your purchase! To get the extra discount, use promo code GAPHIKE at checkout. This offer is valid online, today only, February 3, 2019 until 11:59 pm PT.